This article appeared in print as “Location and Leak Detection” in the November 2015 edition of Municipal Sewer & Water. By Craig Mandli. Problem: The trend was clear to R.B. Hinkle Construction, based in Sterling, Virginia, on the outskirts of Washington, D.C. The underground infrastructure was getting so crowded that crews had taken to calling it spaghetti. Utilities were increasing their fees for line hits, and the company was paying more in those fees despite its heavy emphasis on safety. Solution: They found McLaughlin and its Verifier G2 utility locator. To use a G2, a crew member points the hand-held device at the ground and is given information on the receiver’s LCD window to find the direction of an object line and its position. When the top of the line is found, the receiver beeps. Result: A job site demo helped persuade the contractor that the G2 was the right choice. 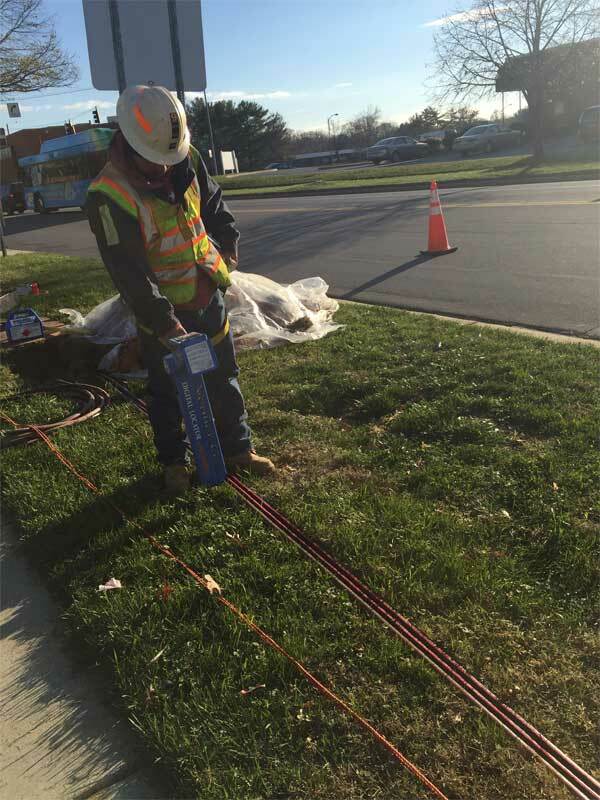 The crew deployed the G2 to confirm the marks and find potentially unmarked utilities. During the demo, an unmarked feeder cable was found that was directly in the excavation path. Using the G2, the crew followed the feeder cable to a pedestal where it terminated. If not for the G2, the crew “would have most likely hit this feeder cable and knocked out service to at least six townhomes,” says Todd Gieseman, Director of Business Development. mclaughlinunderground.com.